Venice Beach is by far the weirdest most artistic beach you’ll ever visit. 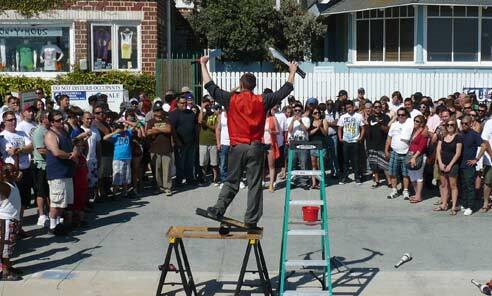 The boardwalk is filled with street performers, artist, and vendors all trying to make a buck. The things you’ll see are sometimes completely odd, but that’s what makes Venice Beach so awesome and unique. The hippie and underground cultures have taken over Venice Beach bringing together a mix of drum circles, graffiti walls, skateboarders, surfers, and body builders. 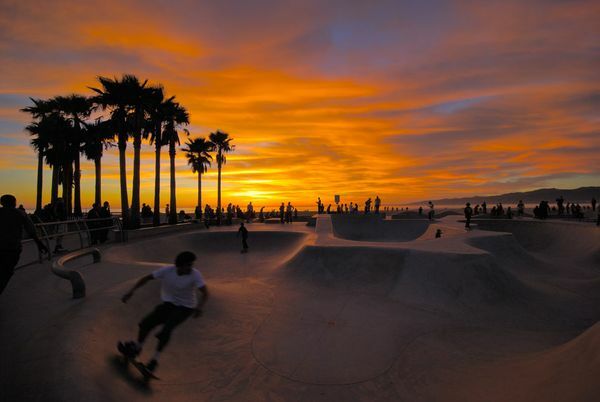 Check out our list of the Top 10 Things To See in Venice Beach. 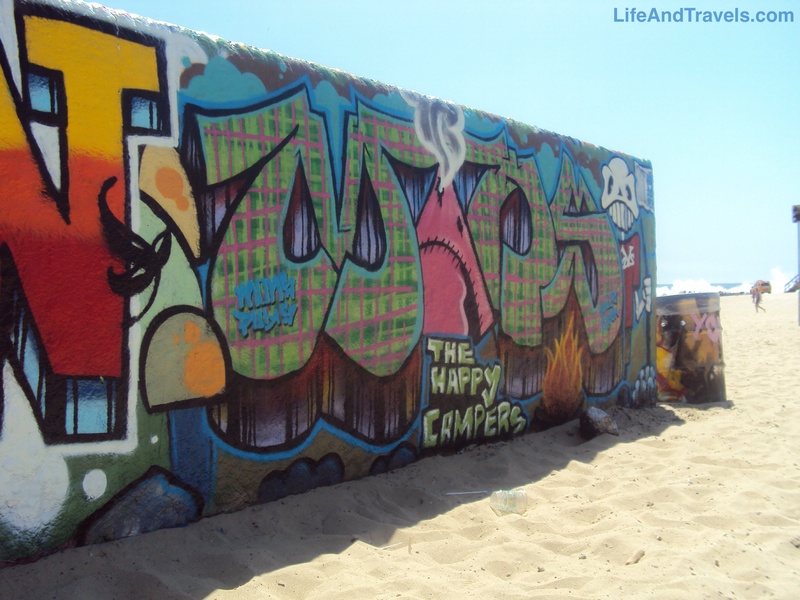 Venice Beach offers graffiti artist a public open canvas of concrete walls right on the sands of the beach. These concrete walls are constantly being painted over so every time you visit Venice you’re sure to see a new art piece. 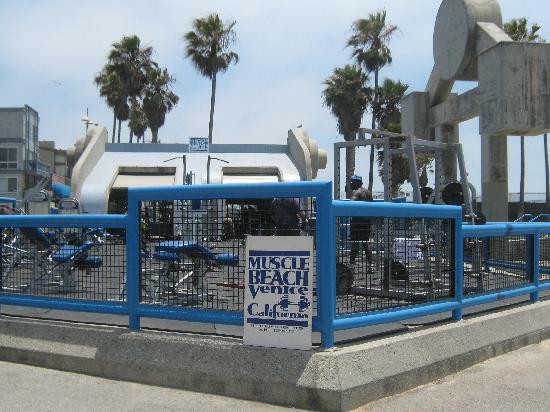 Venice Beach is also known as “Muscle Beach” and offers an outdoor gym directly on the oceanfront. Stop by and check out the Speedo and bikini wearing body builders that give Venice its unique nickname. Along the boardwalk you’re bound to see plenty of street performers from jugglers to musicians and break-dancers to pogo stick specialist. The variety of acts are quite entertaining and the performers simply ask for small donations for their free performance. 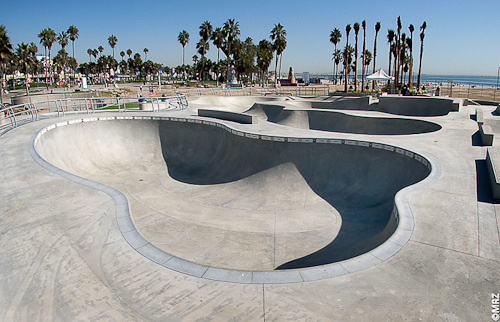 The skateboard culture started in Southern California, so what better way to keep it alive then a skateboard park on the beach! With the ocean and sunset in the background, this has to be one of the most scenic parks to ride. 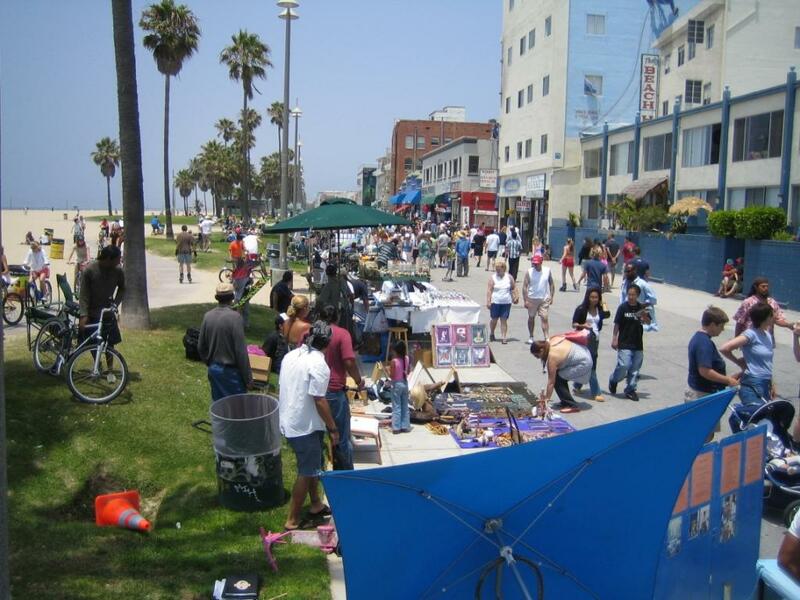 As you walk the boardwalk of Venice Beach, the walkway is lined with street artist and vendors selling their interesting art pieces. You have a variety of art to see and purchase from paintings and sculptures made from recycled materials to clumps of sand with your name carved into them. You’re bound to find some of the oddest yet very awesome art pieces for sale in Venice. 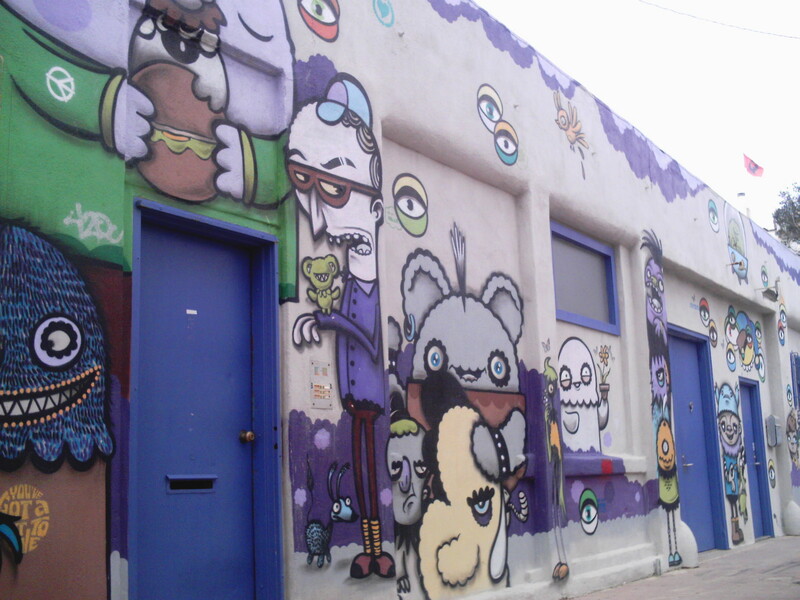 Most of the buildings along the Venice Beach boardwalk are covered in amazing murals. Some of them have been up for years while other are painted over regularly. They are definitely worth checking out as you walk along the beach. If you need a laugh as you walk along the boardwalk be sure to check out some of the panhandlers’ unique signs. 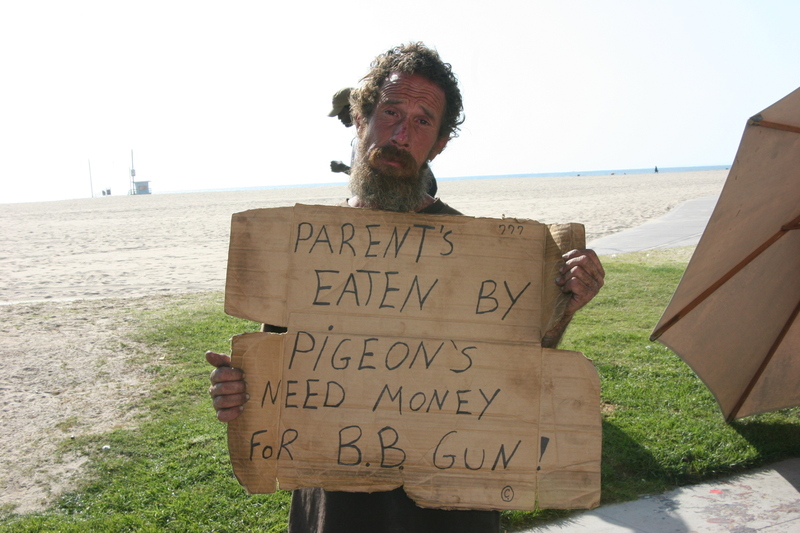 The panhandlers in Venice are actually very witty with their signs and efforts to make you give up some spare change. 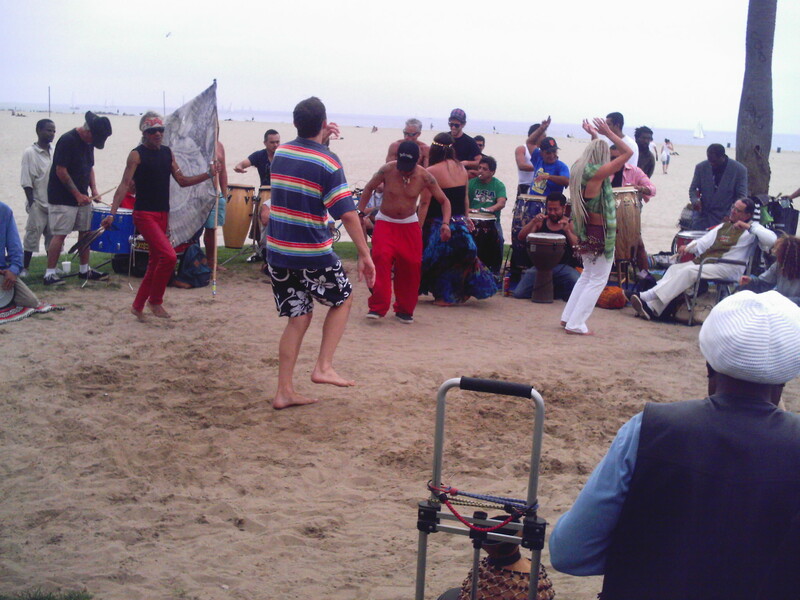 Venice Beach has a very laid-back hippie vibe to it, which attracts drum circles. Be sure to join in with the festivities as the drummers make beats and others dance to the music. 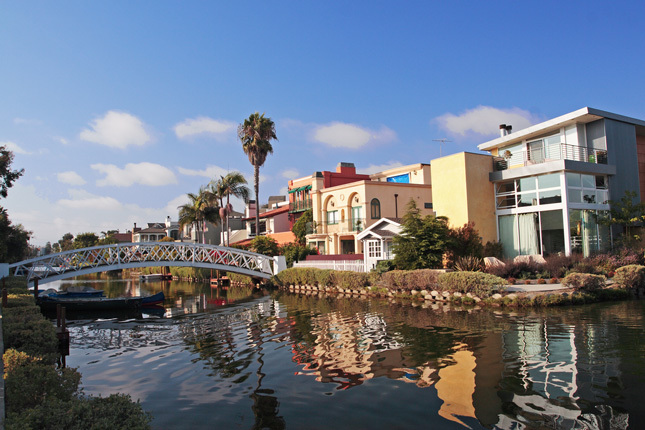 If you enjoy a nice stroll, make your way over to the canals in the neighborhood adjacent to the beach. The man made canals offer a nice scenic walk through a quiet neighborhood of unique houses. Venice Beach is a great place to hang out, relax, and enjoy a swim in the ocean. The beach also offers a beautiful ocean sunset that is worth checking out, just keep in mind that Venice Beach gets a little eerie after dark. October 9, 2013 in Travel Tips.